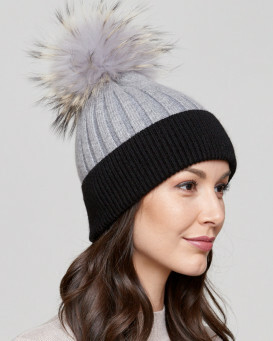 Hit the hiking trails with our sporty Kinley Knit Beanie with Finn Raccoon Pom Pom for her. 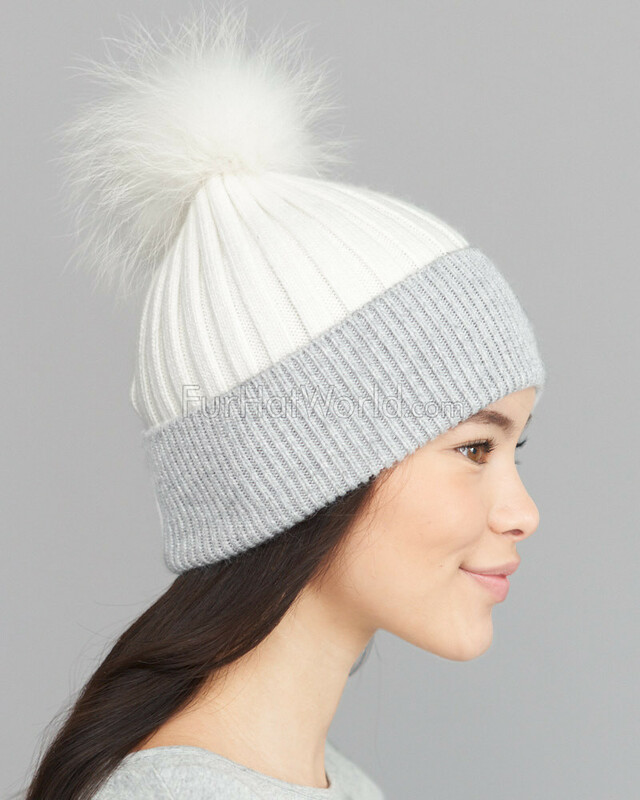 This great gift idea is one size fits all and definitely a staple for your winter wardrobe. 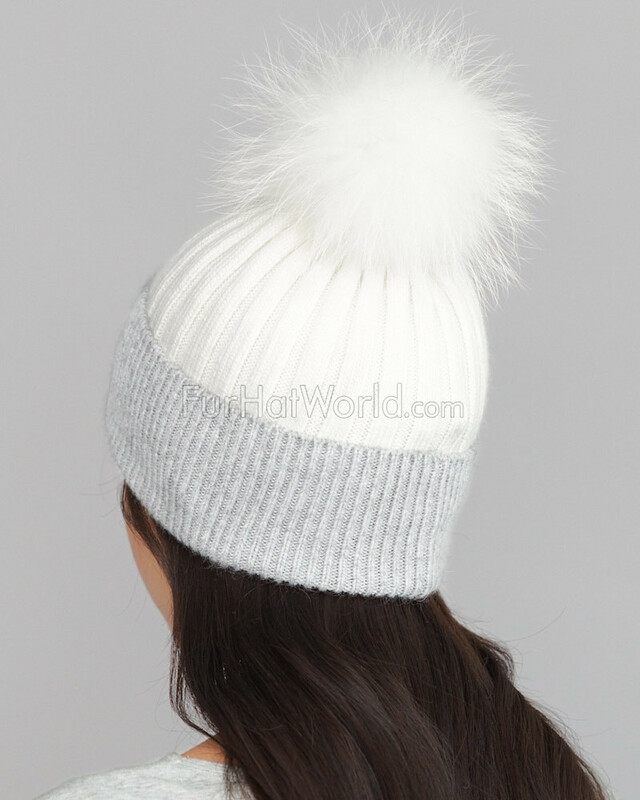 The shell is accented with an adjustable ribbed contrast color fold over cuff and composed of comfortable fabric including angora and nylon. 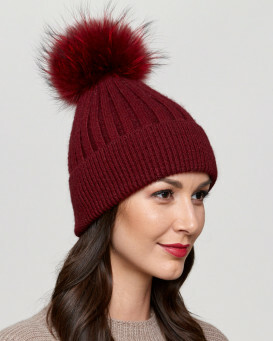 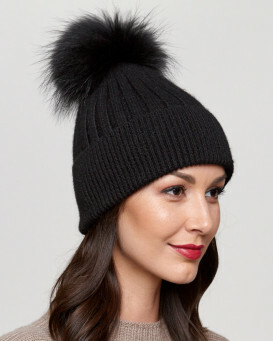 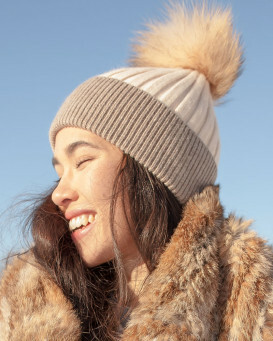 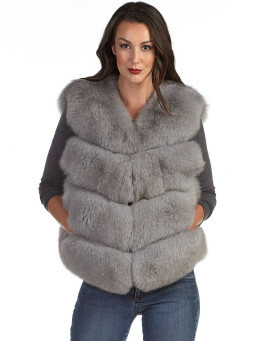 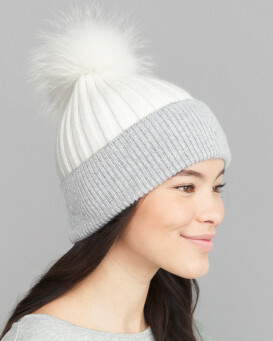 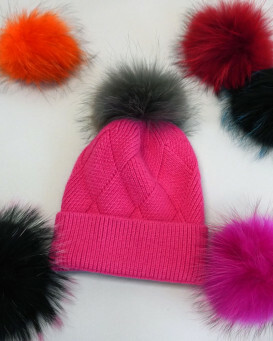 A large Finn raccoon fur pom pom is detachable so you can change up your look. 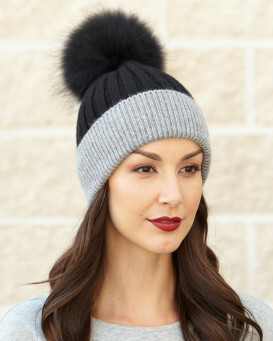 This comfortable design is lightweight but styled to keep you warm whether you're wearing it on simple errands or for athletic winter activities.